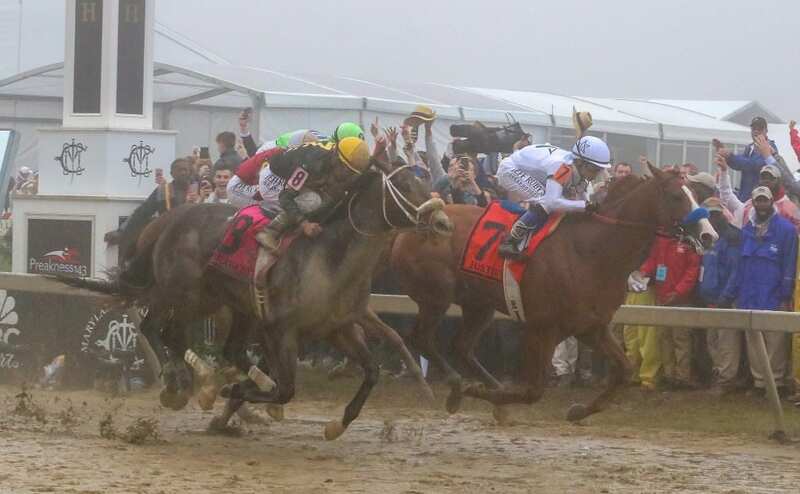 Justify held off Bravazo and won the Preakness Stakes. Photo by Dottie Miller. The American Graded Stakes Committee of the Thoroughbred Owners and Breeders Association today presented its listing of U.S. Graded and Listed Stakes Races for 2019, the results of its annual grading session conducted November 27 and 28 in Lexington. The only new graded race in the Mid-Atlantic is the Chick Lang Stakes at Pimlico, which attained Grade 3 status for 2019. That race is a six-furlong sprint for three-year-olds typically contested on Preakness day, and in 2018 it carried a $200,000 purse. One other regional graded race, the Gallant Bob at Parx Racing, was upgraded. That race — also a six-furlong sprint for three-year-olds — will be a Grade 2 for 2019. Three graded races in the region were downgraded for 2019. The Barbara Fritchie Stakes at Laurel will be a Grade 3 for 2019 — down from Grade 2 — and the Commonwealth Oaks at Laurel and Violet Stakes at Monmouth Park both were downgraded from Grade 3 to Listed. Of the more than 630 graded and listed stakes, 75 take place in the Mid-Atlantic. That number includes five Grade 1 races, eight Grade 2 events, 29 Grade 3 tests, and 33 listed races. Monmouth Park leads the region’s tracks with 12 graded races. Pimlico has nine, and Parx Racing has eight. They are followed by Laurel Park (five), Delaware Park (four), Charles Town (two), and Penn National and Presque Isle Downs, with one each. 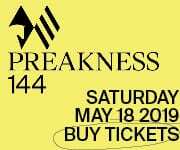 The five Grade 1 races contested in the region are: the Preakness Stakes at Pimlico, the United Nations Stakes and the Haskell Invitational at Monmouth, and the Pennsylvania Derby and the Cotillion Stakes at Parx Racing. Nationally, three races were upgraded to Grade I status for 2019: the Jaipur Invitational S. and Woody Stephens S. at Belmont Park and Churchill Downs S. at Churchill Downs. Sixteen races were upgraded to Listed status for 2019: the Danger’s Hour S., Queens County S. and Stymie S. at Aqueduct; Belmont Turf Sprint Invitational S., Christiecat S., Pumpkin Pie S. and River Memories S. at Belmont Park; William Walker S. at Churchill Downs; Buddy Diliberto Memorial S. and Woodchopper S. at Fair Grounds; Dave’s Friend S. and Henry S. Clark S. at Laurel Park; Beverly J. Lewis S. at Los Alamitos Race Course; Steel Valley Sprint S. at Mahoning Valley Race Course; Black Pearl S. at Santa Anita Park; and Challenger S. at Tampa Bay Downs.